Musical festivals in the UK are some of the biggest events of the year, drawing massive crowds from all over the world. From the smaller, more intimate events like the BoomTown Fair to massive festivals, such as Isle of Wight, you can travel to the even in absolute comfort and convenience via your own helicopter concierge. We’ll cater to your every need for an unforgettable experience, and through the benefits of helicopter travel, you’ll soar over the beautiful UK countryside or the sea in ultimate comfort. Upon arrival to the music event, you’ll land in a spectacular fashion, refreshed and ready to enjoy the show without worrying about travel. 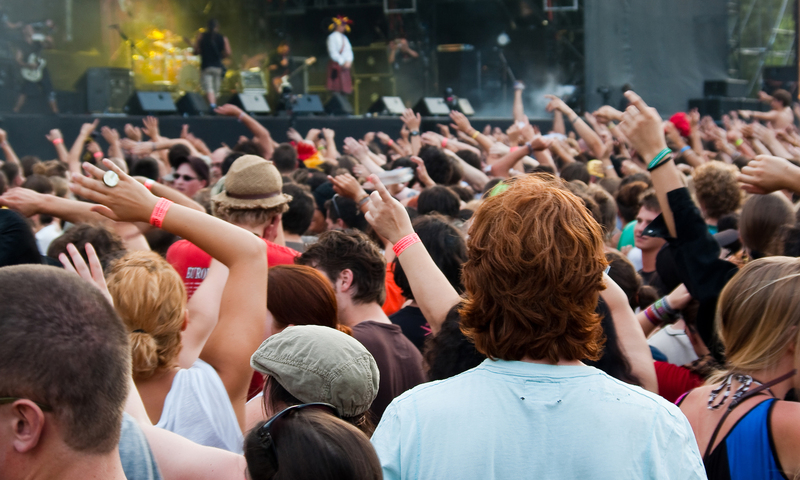 The UK is proud to hold some of the most esteemed music festivals in the world. Nonetheless, as any attendee knows, travel to and from these major music events can be quite tedious. The Isle of Wight Festival is especially notorious for the travel conditions. At High Flying Helicopter, we aim to make your upcoming music event a carefree, luxurious experience that you’ll cherish for a lifetime. We’ll gather you and your guests from an appropriate landing spot near your home or from the operators Redhill location. You will be flown in luxurious style directly to the event in one of the first-class helicopters. 1) permission from the landowner. 2) a suitably sized landing zone clear of obstructions. In addition to flexible takeoff and landing locations, High Flying Helicopter takes pride in our diligence for creating a one-of-a-kind experience for you and your guests. We’ll design the entire itinerary around your specific requests, such as champagne onboard or helicopter charter flights to the afterparty. You can also fly to Amsterdam, Brussels, or Paris for some of the major music events in Europe, including the Tomorrowland festival. Attending music events and festivals create memories that last a lifetime, and they are the best way to get up-and-close with your favourite artists. By opting for luxurious helicopter travel to your next music event, you can say “goodbye” to traffic jams, spending tiring hours on the road, and so forth. But more importantly, helicopter travel adds a whole new dimension to the event, as you’ll soar through the sky in absolute comfort and experience some breathtaking views before landing near the event. Efficient, luxurious, and comfortable, for an experience like no other.